Building Information Modelling (BIM) workflows use 3d models of a building for design, coordination and construction. Unlike standard CAD, the model is built using intelligent construction elements, which contain defined component layers, representing real material build ups. A wall element for instance, may represent a standard external wall with brick, block, insulation, air gap layers. These elements are also ‘parametric’, meaning that their individual properties can be flexible. These building block ‘elements’ will also contain performance data (environmental, thermal structural properties), as well as specification data and volume, area, manufacturer and cost information. This information, when combined with structural and mechanical & electrical designs, contained within one co-ordinated model (or models) allows the designers and clients to understand and test a ‘virtual building’ in ways that 2d does not. Used during the design development process, BIM eliminates misinterpretation, enables rapid problem solving and identifies errors. It also helps contractors to better understand a project leading up to and during the construction phase on site. 3d Modelling brings great benefit for designers and clients, providing crucial feedback to architects and design teams and aids client understanding of a design. BIM modelling takes this to another level. Benefits include the ability to coordinate structural and M&E with the architectural model, clashes are able to be picked up before getting to site, avoiding costly work and help to ensure a fully coordinated data set. Being able to extract material data and quantities, helps teams to accurately develop improved environmental performance of our designs and provide accurate cost monitoring from early stages. 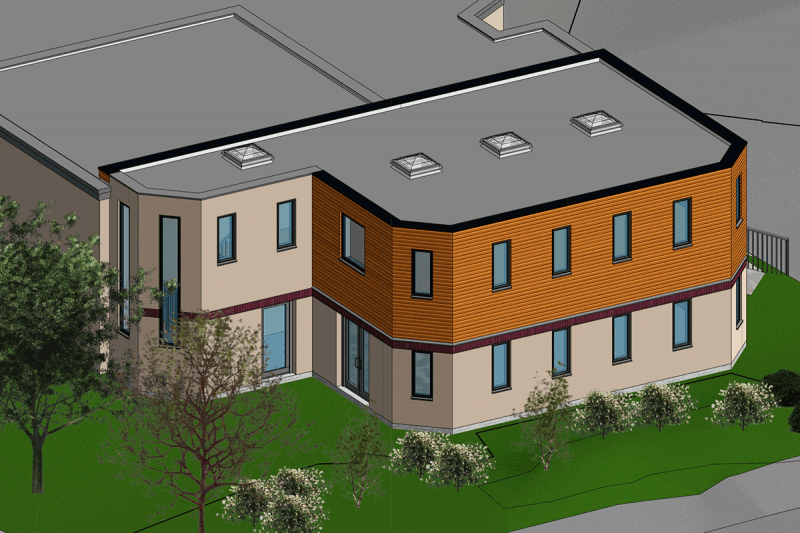 At Element Architects, we have largely moved from a 2d workflow to 3d, using Building Information Modelling tools where this is currently practical, with the aim of adopting this on all of our projects. As well as the industry standard BIM modelling software, we also use other compatible 3d modelling tools using the IFC format to enhance our workflow, where this brings added benefit to our clients.